Drain the dal and keep aside. In the mixer/grinder, first add the green chilies and chopped ginger. Pulse a couple of time. Now add the dal – about quarter cup at a time. Avoid adding water while grinding, but if the mixer/ grinder jams, add as little water as possible. Remember to wipe off and mix back the dal that sticks to the walls. Stop once you get a smooth thick batter. Empty out the batter into a container. Add semolina, salt, cumin, crushed peppercorns. Mix the batter well. Now comes the fun part – you have to beat/whisk the batter to aerate it. Use your hands, a spoon or a whisk to do the same. But before that, fill a small bowl with water and drop a pinch of batter in the same. If the batter is right, it will float on top of the water. If it sinks or is kind of 'hanging' in the middle, it is time to start whisking. Do that ‘float’ test again after some time and stop whisking when it floats. You will also notice that the batter has become whiter. Do a taste check of the salt and add onions, coriander, curry leaves and more salt if needed. Mix well and keep aside. Heat oil in a kadhai for deep frying the vadas. Be generous with the amount of oil you put in so that the vadas don’t stick to the pan. Oil needs to get medium hot – which means when you drop in the batter in the oil, it should quickly rises to top with slight bubbles. If it browns too quickly, the oil is too hot and vadas will burn from outside and remain uncooked from inside. These need to be gently fried to a light golden colour. If the batter sinks, oil is not hot enough. Time to fry – ideally need to use your hand but if hot oil scares you, you can use a spoon. If like me, you can’t make those doughnut holes, ensure you take small dollops of the batter so that the inside gets the chance to completely cook by the time the outside gets to the right colour. Wet your hand/spoon, take a small dollop of the batter and gently slide it in the hot oil. Remember – don’t worry about the shape, just ensure they are not too big. Don’t fry more than 4-5 at a time. Turn them around a couple of times so that they are evenly golden on all sides. Once done, take them out with a slotted spoon and drain on a kitchen towel. Repeat with rest of the batter and remember to test the oil temperature before every batch and also to wet your hands so that the batter slides off easily. Serve hot or warm with any chutney of your choice. If serving later, turn your oven to warm (the lowest temperature) and keep the vadas inside the oven till serving time. I didn’t get a chance to click the picture of the inside, next time I guess. Any additional tips, pls. do share…. 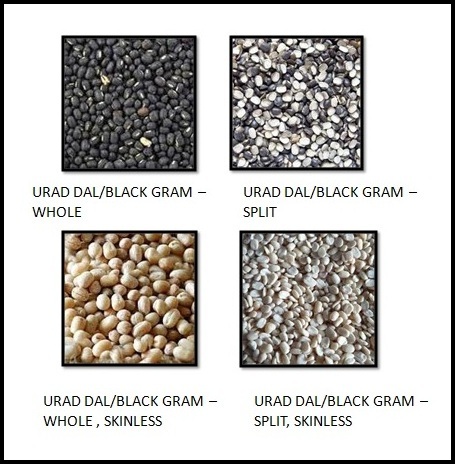 They say that making this with whole skinless urad dal is better but since I make these only occasionally and never have that dal at home, I use split skinless urad dal. Grinding for too long makes the batter sticky, so keep an eye on it while grinding and stop once all the dal is done. Also, ensure that the batter doesn’t get hot while grinding – if it does, vadas will become hard. Keep an eye on it and also pulse a few times initially. I like adding semolina as it helps with the crispness and the vadas also remain crisp for longer. The more water you add while grinding, the more oil the vadas will soak while deep frying. Semolina also helps if the batter has become watery. And remember –shape doesn’t matter. Just keep a check on the oil temperature and size. 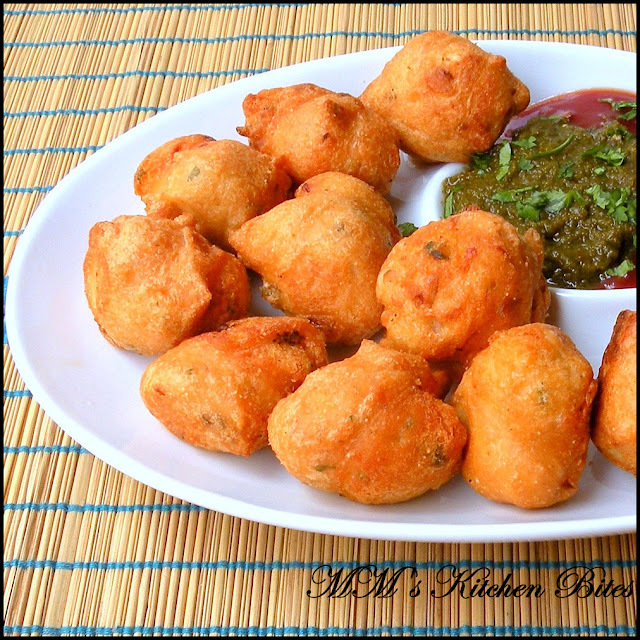 Try and make the vadas right after grinding the batter so that they turn out soft. And as always, pictures of the dal so that you know what I am talking about. Thank you for the pics of the lentils is much simpler! These look and sound delicious!